Health Research - Irish Wolfhound Club of America, Inc. Many of the diseases we face are complex and there is much to be learned about how to detect and treat them. 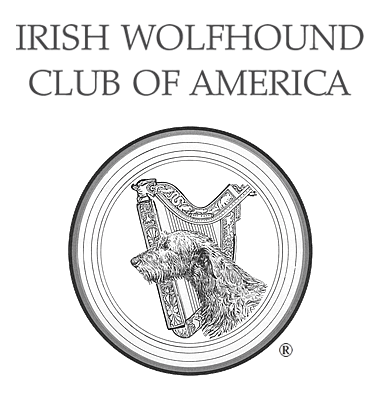 The IWCA established the Irish Wolfhound Foundation as a 501(c)(3) charitable organization to address research, education and rescue specific to the breed. Having a separate organization with a team of qualified advisors for research is key to managing a stable research program. It also allows for the fundraising necessary for expensive research projects, especially those that will take years of persistent funding at a low level to gather data. The IWF is funded by donations, by the IWF store and boutique, and by a portion of the proceeds from the annual auction at the IWCA National Specialty. Directed donations to the IWF from the IWCA include supporting the Broad Institute's research into the genetics of osteosarcoma. However, there are diseases that we share with other breeds and sometimes we can pool our funds with other breeds to fund really large projects that will benefit all concerned, projects beyond the ability of a small group like ours. For this reason the IWCA and the IWF both have donor-advised funds with the AKC Canine Health Foundation. This fund enables us to share the burden of large research projects with other breeds experiencing similar problems. It brings our breed to the attention of qualified researchers. Some of these projects may seem to be oriented towards another breed but we seek researchers who have an interest in our breed. For instance we might support a project looking at a type of heart disease that is common to boxers but, for some reason less common and less lethal in Irish Wolfhounds. This may help a researcher understand what it is that protects our breed and hence help both breeds. You can contribute directly to the IWCA's CHF donor-advised funds by going to the CHF website. To donate to the AKC CHF IWCA donor advised fund go to the CHF website. On the first dropdown select 'Donor Advised Fund' and then choose Irish Wolfhound DAF. Donations are tax-deductible. A note about dog charities: There are many charitable organizations funding projects to help fight dog disease. Most of these are well-intentioned and some are well funded and organized. It is often hard to know which will make the best use of donated funds but like all charities, it is worth looking into what they do with the money. Do they have regular reports or newsletters? Does their website describe the research projects seeking funding and the progress in those projects? Do they have a research committee for reviewing proposals for scientific quality? Do they provide any educational material based on their research? This page was last updated 04/11/2019.